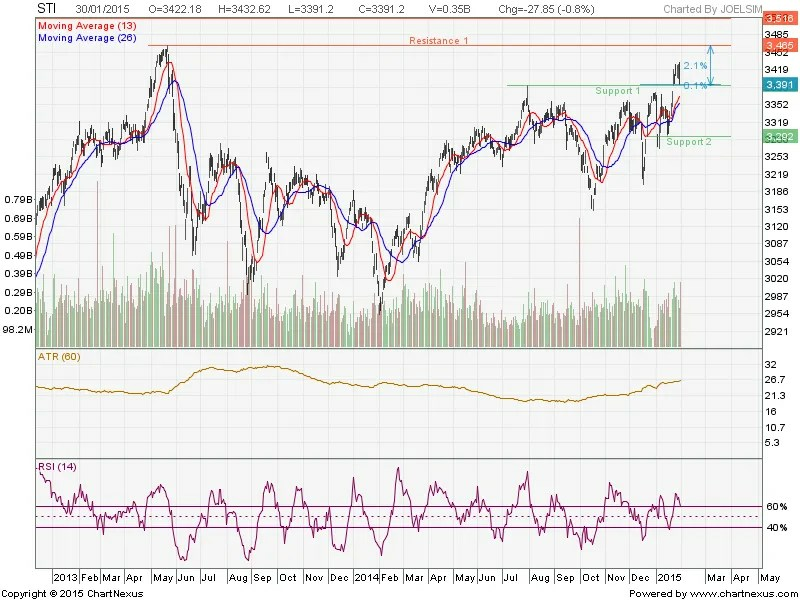 As mentioned, consolidation followed by rally occurred on 20th Jan onward. 1. Consolidation between 3,388 – 3,432 before breaking 3,465 resistance. 2. A sharp correction to 3,292 region. – Buy on pull-back after a breakout past 3,465. – Open short positions if it drops below 3,388 with 1-day volatility as stop-loss point. Homework: Track the Funds Initiation & Monitor its performances.